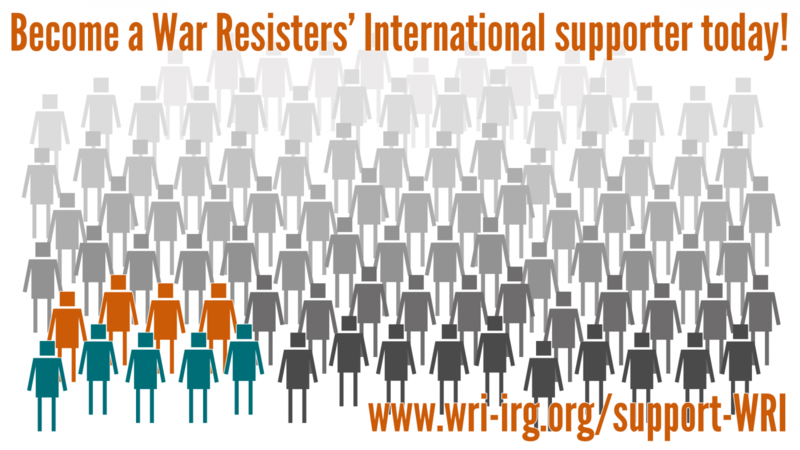 War Resisters' International is a network of activists and activist organisations, and we want our newsletters to reflect this; we don't just bemoan the state of the world as it is, we actively try to change it. We hope our newsletters highlight the work being done by activists around the world. We welcome work by seasoned writer-activists, and those telling their story for the first time. War Resisters' International produces several newsletters and publications on different themes, and we welcome contributions to all of them. The Broken Rifle is our main newsletter, produced three times a year, with several articles written by different people from around the world on a particular theme. Recent editions can be found here: /en/br-home.htm The theme of the next edition can normally be found advertised in the previous one. To submit an idea for a story, email: info@wri-irg.org with “The Broken Rifle submission” as a subject line. We can also post stories on our website unrelated to particular publications. For example, reports of actions. Write to info@wri-irg.org with your proposals. We want to bring to the fore voices and stories of resistance not being heard in mainstream, and we want writers to feel comfortable in expressing themselves. To help with this we accept work in whatever language a writer feels most comfortable writing in, and have a team of volunteer translators who make sure work is translated into at least the four languages WRI typically uses; English, French, German and Spanish. We can normally find a translator to translate from other languages as well, but can take a little longer. If you are a translator, you might find our translation guide helpful, with common WRI terminology translated into Turkish, German, French, Spanish and English. Be concise: most of our articles are no longer than 2000 words, and many are shorter. When you contact us with your idea for an article we will let you know how long we want it to be. Remember your audience: we are a global network and your work will be read by people with little knowledge of the context you are writing from – avoid jargon, unexplained/expanded acronyms, or colloquialisms that won't be clear. Many people will not necessarily be reading in their first language. Bring out stories of resistance: don't just tell us what the problems are, tell us what people are doing to challenge the perpetrators and find nonviolent solutions. References: our publications are not academic journals, and we don't expect articles to be fully referenced. However, it is helpful if claims and statistics can be followed up, and this gives weight to your argument. Try and provide a link or reference where possible. Photographs: we try and post at least one photo, image or graphic with each story we post. It's easier if these are suggested or supplied by the author, who will have access to images that we do not. Try and think early on in your writing process about what images could be used to make the piece more visually stimulating. We find that long pieces of text without any images are less likely to be read, as they can look intimidating. Thank you for considering writing for WRI - we look forward to hearing from you!